rideTYRANT.com: Gave in to Old Man Winter! So I gave in to Old Man Winter and hung up the bikes for the weekend. 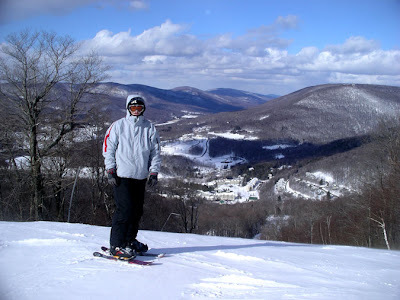 I headed up to Jiminy Peak to do a little 2 planking and the conditions were amazing! It snowed the first 2 hours we were there laying down a fresh coat of powder. Once the snow showers cleared it was bright and sunny the rest of the day. So much for hating winter and being fed up with the snow....I had a hell of a good time today! Back on the bike tomorrow. dude, i´m in mexico rocking out.